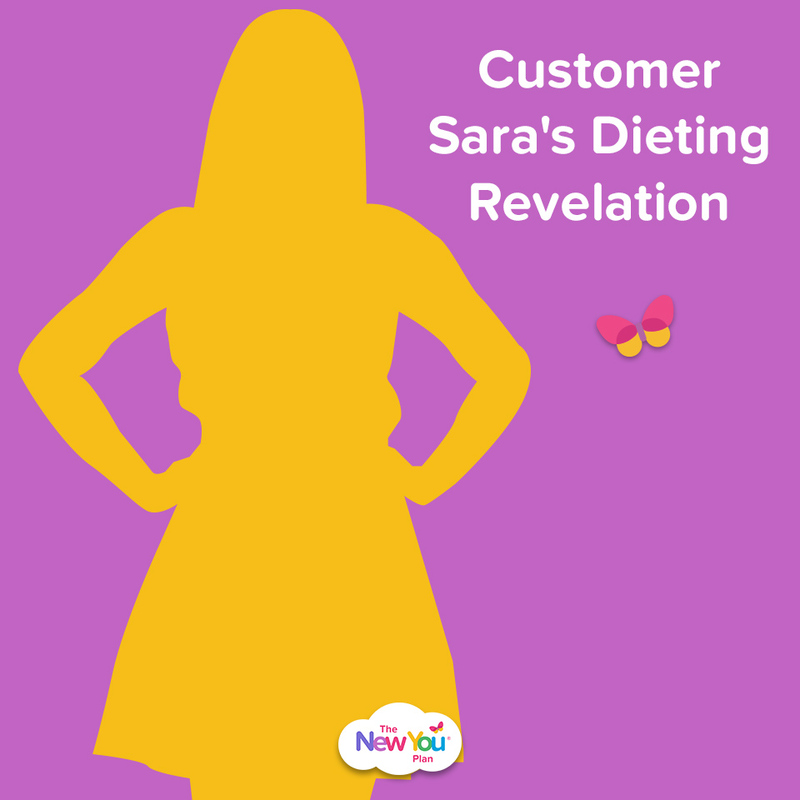 Here, we discuss the two biggest dieting revelations, which will help you flip the way you think about your New You Plan journey for good. How long have you wanted to lose weight? For some of us it has been a life-long battle. Full of enthusiasm, you make a decision to start a diet (usually on a Monday). You do all the preparation, make lists of what you will eat every day, add in a little exercise (the obligatory 10,000 steps) and use the weekend to ‘get rid of’ all the unhealthy food in the cupboards. Because that’s fair isn’t it? If you are going to be depriving yourself of all the lovely food and drink for weeks on end, surely you deserve ‘a wee treat’ beforehand? So you start… a few pounds heavier after your weekend feast… and then at some stage… you stop. ‘I was so hungry/I felt guilty not eating the cake that was bought for me/it was my family night out/I was so stressed…*list any excuse that makes you feel better. You then eat all the things you have been craving. ALL of them. And even though they don’t taste as good as you imagined, you feel justified because *see reasons above. When we come up for air, we feel a myriad of emotions. Guilt, shame, disgust. We resolve to start our diet again. On Monday. This. This is the cycle that you need to break and we are going to tell you how to do it. This might be hard to hear but we promise you… it’s life-changing. Are you ready? The reason you are not living the life of your dreams at your perfect weight is because you don’t actually want to take action. Now, before you throw the phone across the room, hear us out. How do you approach your New You journey? Are you excited and amazed that you have found a solution to lose weight? That the food packs are tasty and nutritious? That in a few short months you will no longer struggle with finding clothes that make you look fabulous? Or do you look at it another way? We will be honest; we have often approached dieting as a chore. As something we HAD to do rather than wanted to do. We didn’t want to stop eating our favourite foods. We didn’t want to drink a load of water either. We didn’t really want to make the sacrifices or do the work which makes the diet successful; we felt we HAD to. Sound familiar? Change is hard if you don’t really want to do it. “I have ‘really wanted to lose weight’ for over 4 years. I have been on diet after diet. Started a diet. Lost a stone. Stopped a diet. Put on a stone. I really wanted to lose weight so why couldn’t I do it? Every Friday I would tell myself I would be starting on Monday. Monday would come along and I would start… only to give up. Or I would tell myself I would do it next Monday. Because diets can only ever start on a Monday, right? 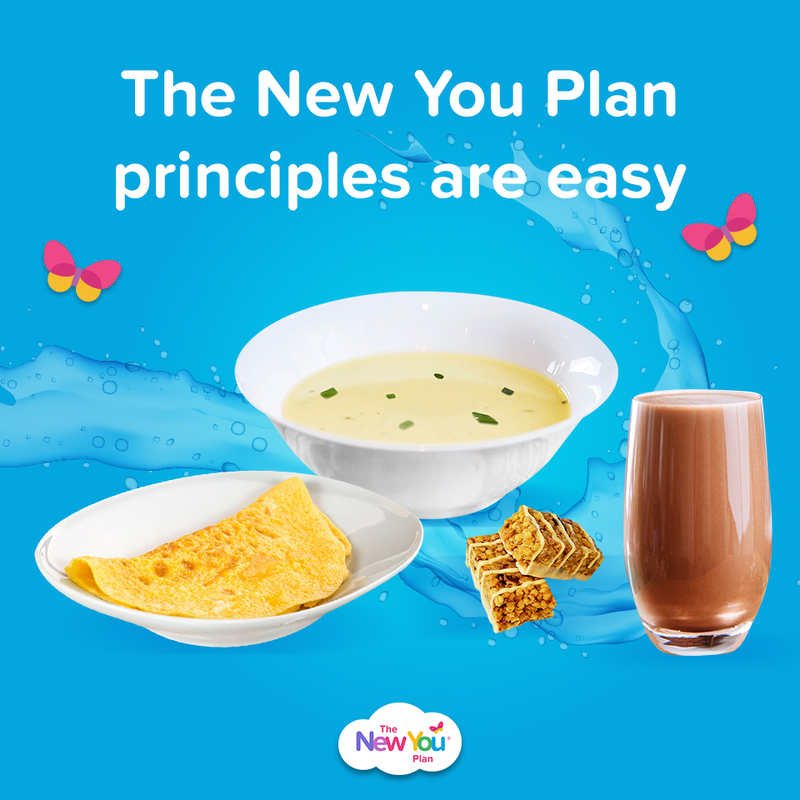 The New You Plan principles are easy. 4 or 5 packs and 4 litres of water. Every day. Simple. So why did I sabotage every effort I made? It didn’t matter what ‘Day’ it was. I sabotaged on a Day 1. I sabotaged on a Day 2 after a successful Day 1. I once got to Day 18 before I … well you can guess…sabotaged. Eighteen days of success and then what? What was wrong with me? Then I had an epiphany. In my head, I didn’t really want to diet. I didn’t want to stop eating my favourite foods. So each time I ‘started’ I was like petulant child – stamping my feet and moaning to everyone around me about how I HAD to do this. I was carrying all this resentment into the diet. Imagine resenting something which was going to change your life for the better! When I really examined this, I realized that I was dieting because of other people. My mum mentioned my weight a lot as did my partner so I felt almost an obligation to lose the weight because it was ‘healthier’. It was the same scenario as when I’d say I would do something just to keep the peace or be nice and then find myself actually having to do it. Sara is a prime example of how a lot us approach weight loss. The feelings of deprivation and resentment when other people are eating foods that, for now, you can’t. Feeling pressurised by friends and family to ‘do something’ about your weight. It’s the difference between HAVING to and WANTING to. Really wanting to lose weight. Which side are you currently on? 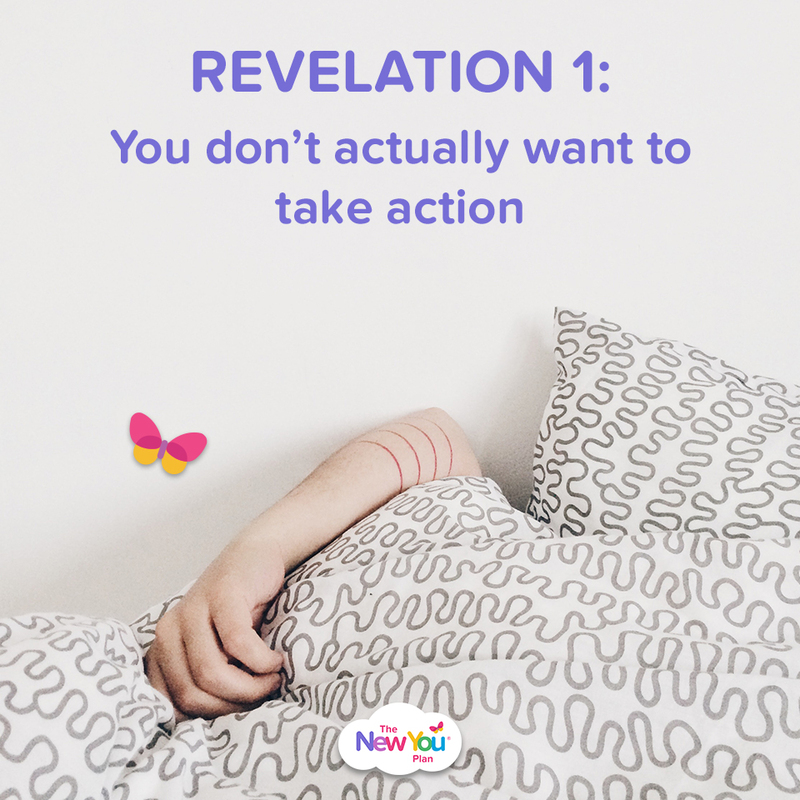 Ready for Revelation number 2? You have to fall in love with the process of losing weight, not just the end result. 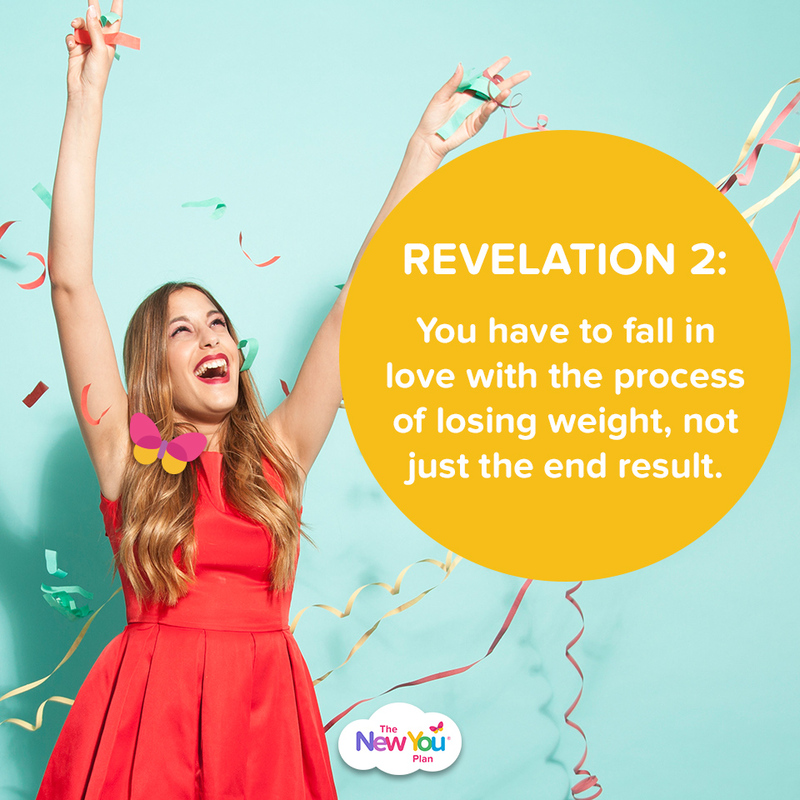 Now we have established that you really WANT to lose weight – for you the second game changer is to fall in love with the process. All of it. The packs – because yay they are tasty; the 217 trips to the loo – because that means your body is using your water intake to flush out toxins and fat and even fall in love with the stinky breath – because that means you are in ketosis and in maximum fat burning mode. Truly embrace it. Yes, even the detox headache, because that means it is working. 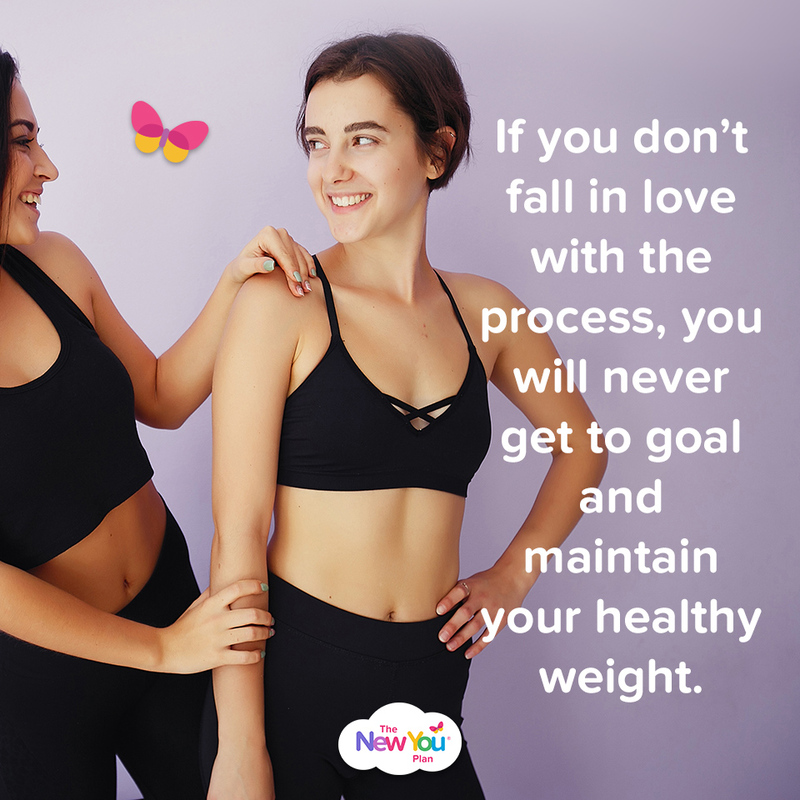 If you don’t fall in love with the process, you will never get to goal and maintain your healthy weight. Every day on plan will feel like a climbing a huge mountain… on a unicycle. It will be easier to fall off plan too. How do you fall in love with the process? You need to WANT to put the work in. 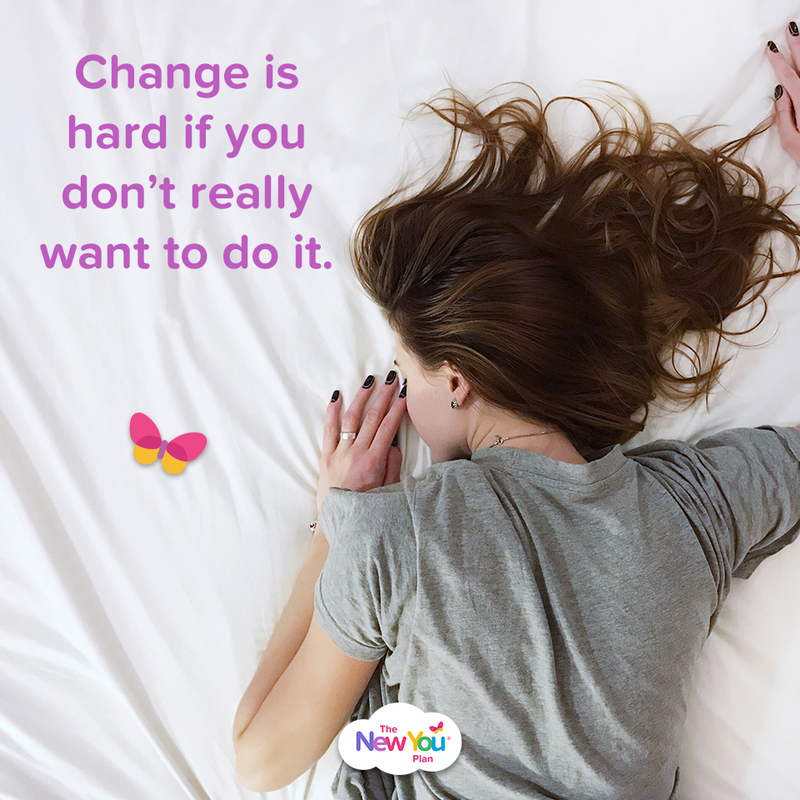 Change is extremely hard if you don’t really want to do it. 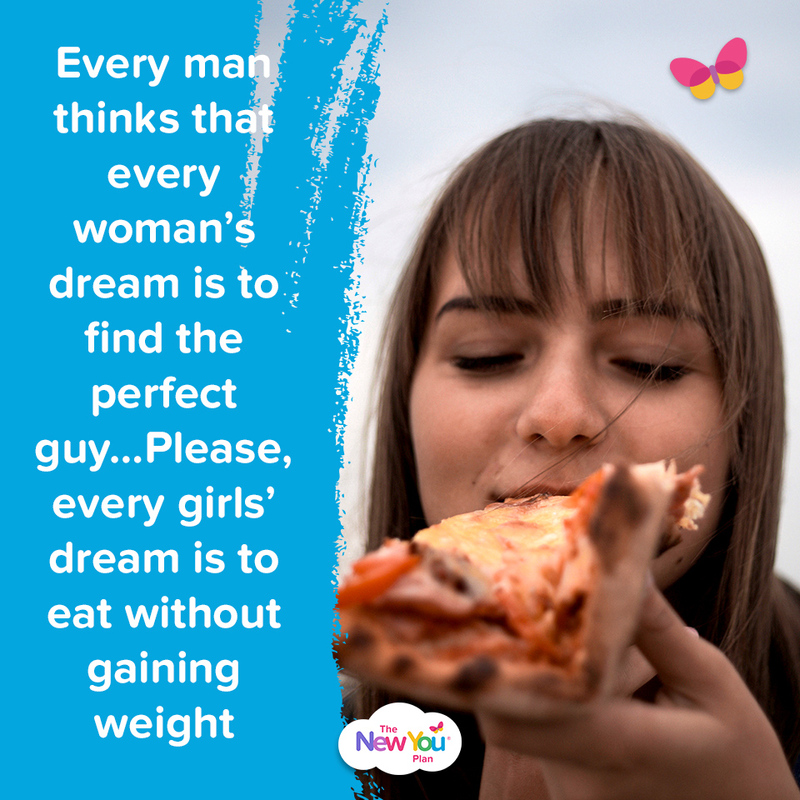 There’s a meme circulating at the moment which sums it up brilliantly” “Every man thinks that every woman’s dream is to find the perfect guy…Please, every girls’ dream is to eat without gaining weight”. The keyword here is dream! You have to want to put the work in and the easiest way is to fall in love with the process. We ALL have the dream of being slim and healthy and while visualisation is great – it doesn’t get the work done. The first step in falling in love with the process is to tell yourself how much you love the process. Even if at first you don’t! Welcome to the ‘illusory truth effect’, a glitch in the human psyche that equates repetition with truth. When you say ‘I love being on plan’ for the second or third time it’s much easier to process than the first time. You believe it more quickly and you understand it more fluently. Our brain interprets that fluency as a signal for something being true—whether it’s true or not. Consistently talk about how you love the process of losing weight and doing TFR and guess what? You will love the process. The second step in falling in love with the process is to DO THE WORK. New You makes it simple. You have 4 or 5 packs every day. Add in 2.5 to 4 litres of water. And that’s it. You know how you used to click on every diet ad searching for ‘The One’? That perfect diet that will get you to goal weight easily? Guess what? You found it. The real search needs to be deep inside you. Ask yourself: Do I really WANT to lose weight? Am I willing to do the work? Can I fall in love with the process? If the answer is a resounding YES, The New You Plan can help you fall in love with the feeling of being empowered rather than deprived. When your determination changes, everything will begin to move in the direction you desire. The moment you resolve to be victorious, every nerve and fibre of your being will immediately orient itself toward your success. 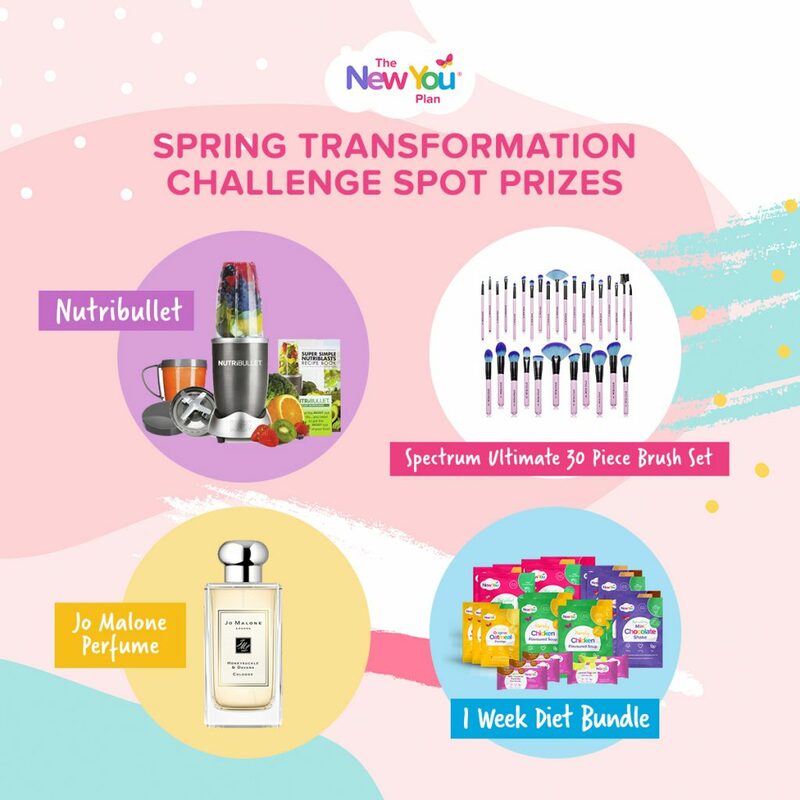 We’ve kickstarted the new week by launching task 3 of our Spring Transformation Challenge. This week’s task is designed to help you fall in love with the process. To enter, head over to Secret Slimmers, or email: [email protected] and list 10 things you love about Total Food Replacement & The New You Plan, which can help you fall in love with the feeling of being empowered rather than deprived.